Who Will Champion the Canadian Space Program? Tomorrow Finance Minister Bill Morneau will deliver the Liberal Party’s third budget since coming to power in October 2015. The space community awaits anxiously to see if this is the year a Canadian government steps up and supports the space program to a greater extent than it has. This is the second article in our Budget 2018 series, and in this article we ask the question, who will champion the Canadian space program? In the last 25 years Canadian governments have funded three major space programs, programs which used a significant portion of the nations space program budget. These programs included the Mobile Servicing System which includes the Canadarm2, the Mobile Base System and the Special Purpose Dexterous Manipulator (Dextre), RADARSAT-2 and the RADARSAT Constellation Mission (RCM). RCM will be launched later this year and there are no other major programs in the pipeline. In September 2016 the Aerospace Industries Association of Canada (AIAC) released a report titled The Future of Canada’s Space Sector. It put forward the idea that Canada needs a balanced space program, one which includes sustained funding for new initiatives, large and small, and which would see modest budget increases to the space program. They justified their proposal by citing the socioeconomic benefits to Canada which show that investments made in the space program provide a measurable boost to Canada’s economy. The data the AIAC cites is from the 2013 and was part of the Comprehensive Socio-Economic Impact Assessment of the Canadian Space Sector study performed by Euroconsult for the Canadian Space Agency (CSA). The ability to leverage initial government funding as shown by its share in the world space market (almost 2% in 2013) that largely exceeds the weight of Canada in global public expenditures for space activities (less than 1%). Revenues growing at superior rates to the Canadian economy (3.7% on average during the last five years compared to 1.8%). An economic multiplier of 1.85 with a total GDP contribution of $2.9 billion. Services and manufacturing are the biggest contributors accounting respectively for 55% and 30% of this figure. An employment multiplier of 2.5, with 24,354 full-time equivalent jobs essentially composed of highly-qualified and highly productive personnel. $750 million of tax revenues to federal, provincial and municipal governments. What this all shows is that at the time the report came out and the period it covered, Canada’s small space investments were paying off. Based on the results in the Euroconsult study is it fair to ask, why isn’t the government investing more in Canada’s space program? Will Prime Minister Trudeau Champion the Space Program? July 1, 2017, Ottawa, Prime Minister Trudeau is standing in front of the Canada Day crowd basking in the positive vibe from the audience despite the poor weather. The government has decided that to celebrate Canada’s 150th anniversary we’ll create a nationalist moment by announcing Canada’s next two astronauts. The crowd loved it. The Prime Minister was in his element. Canadian astronauts have shined on the International scene. You could see the pride on people’s faces. Did the audience know though that in the 17 year period between 1992 through 2009 that seven Canadian astronauts participated in 14 missions but since then there’s only been 1 mission, that of Chris Hadfield’s? Did the audience know that the Canadian Space Agency base budget was set at $300 million in 1999 and is now down to $260 million annually? I’ll also throw in the fact that adjusted just for inflation that $300 million would be $432 million in today’s dollars. Will Minister Morneau Champion the Space Program? The Finance minister is the master of coin, to borrow the position from Games of Thrones. He realizes he must balance spending across the spectrum of needs that Canada’s budget serves. A spending government, one that sees growth through debt, at least in the short term. Will a few coins be sprinkled towards the space program? And remember, and I’ll repeat this, this is a spending government. Will Minister Garneau Champion the Space Program? Now things start to get interesting. Fair or not, the space community expects Minister of Transport Marc Garneau, the first Canadian astronaut in space and former president of the Canadian Space Agency to Champion the cause. After all, Garneau is a senior cabinet minister who understands the plight of the space program. But here we are, a third budget into the Liberal mandate and it certainly does not appear as if he’s Championing the space community. At this point, perhaps the best the space community can expect is that Garneau will direct that outdated regulations regarding suborbital and orbital launches in Canada be updated so that new space companies can try and make a go of it. 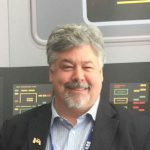 Will CSA President Sylvain Laporte Champion the Space Program? What is a Canadian Space Agency president to do? Stuck under the wing, and at the mercy, of the department of Innovation, Science and Economic Development Canada (ISED), CSA presidents have no political clout. The CSA will celebrate its 29th anniversary March 1, and did you know that in that time its had 15 acting or appointed presidents? It doesn’t seem to be a job many want to keep for long. Tomorrow will mark the 3rd anniversary that Laporte was appointed president. Only Mac Evans, Marc Garneau and Steve MacLean have served longer. Laporte has done a good job at guiding the CSA with the resources made available to him. To his credit and his team, positive change has come to the CSA. Laporte’s extensive background working in government, the military, and his aerospace engineering expertise, has served him well. One lesson possibly learned by Laporte from Steve MacLean was, don’t ask for too much. When MacLean was appointed president he was immediately tasked by the then Industry Minister, now ISED, to consult with the space community and come up with a long-term space plan. He did just that. When the government saw the wish list and cost, and remember this was a Conservative government dealing with the Great Recession, it put MacLean and the CSA in seemingly a perpetual doghouse. Which is ironic considering they asked for the plan. What did they expect? That it wouldn’t cost anything! One change Laporte has brought to the CSA includes a new mindset on dealing with new space companies and innovation. Previously, the CSA would almost dictate what technologies companies could apply to get funded. Now, under Laporte that’s changed. However, one has to wonder if Laporte isn’t asking enough from ISED. Perhaps his background in government has made him too conservative when asking for more funds. When I asked him about funding last summer, his response was that he had the funds to fulfill his mandate. That mandate is directed by ISED. Will Minister Bains Champion the Canadian Space Program? All roads lead to ISED. Or in the case of Canada’s civil space program, all funds and political clout flow through ISED. Minister Bains to his credit has been engaging with the space community and ISED created a new Space Advisory Board to consult with the space community and to report back to the Minister. Bains is genuinely interested in and supportive of Canada’s space program, at least vocally. He, like many in the Liberal government, including I’m told, the Prime Ministers Office (PMO), understands the value the Canadian space program has. And not just from a public relations perspective, but economically as well. So you have to wonder why yet another Canadian government is not investing more in Canada’s space program. I’ve mentioned this in past articles, but the CSA was never meant to be in the industry portfolio. Michael Atkinson and William D. Coleman in 1993 wrote Obstacles to organizational change: the creation of the Canadian Space Agency. It provides great insight into the predicament the civil space program faces today. Those responsible for coming up with an organizational structure for the CSA opted for a “highly autonomous organization with some kind of crown corporation status.” That however did not happen. The PMO’s office intervened, and eventually decided to place the new agency under the industry portfolio. I wonder how things would be different if the original plan had been implemented. Today, many would argue that the CSA is under-funded and politically isolated and I as I previously stated, all roads lead to ISED. This is the last budget before next years election budget. And election budgets are usually full of big promises that may or may not get fulfilled if a government gets elected. What this means is that for the CSA to see modest budget increases going forward as the AIAC and others advocate, Minister Bains must be the Champion of the Canadian Space Program this year. The question is, will he?